You would think that since I have a whole week off that I would be super productive and get a lot of things on my to-do list done… right? Wrong. I mainly slept in and visited family. This is all fine, but now I am really kicking myself for not putting more hours into doing things like: write my research paper, do my taxes, update my posts more often, buy trip insurance…. I have a big list of to-do’s that still remain. I always seem to do this though. 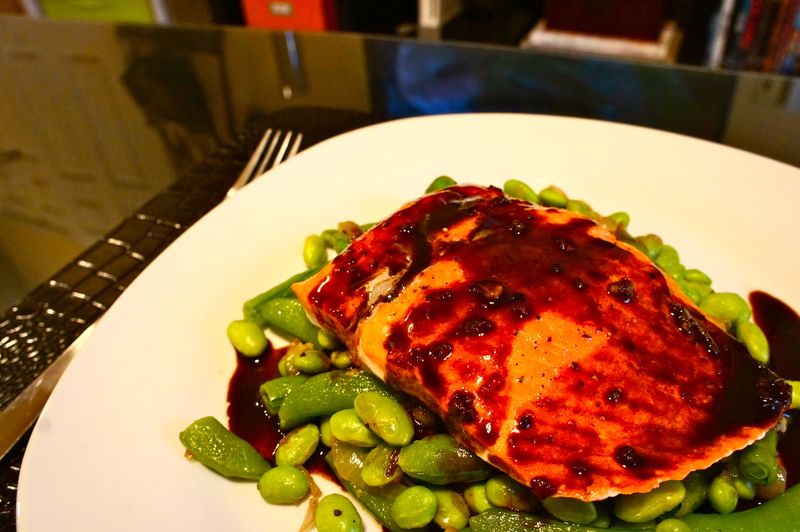 Alas, I made this balsamic-glazed salmon last week, and it was delicious. The best thing about it was that it was really simple and fast to make. 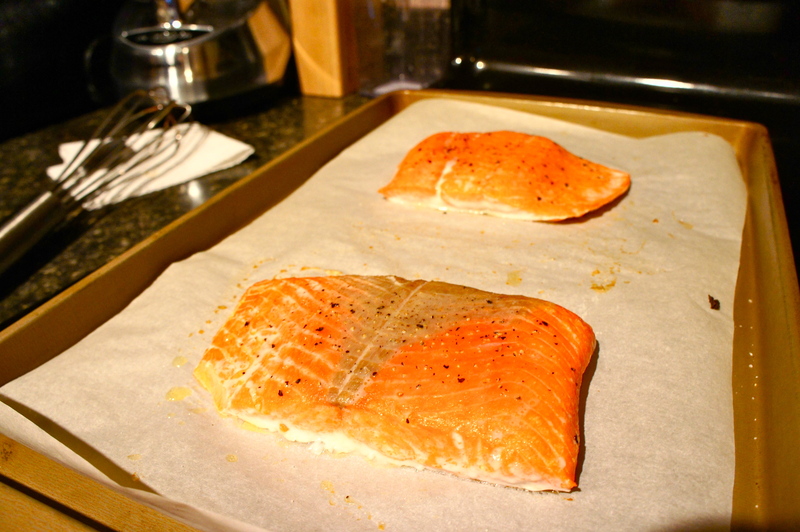 So if you like salmon, this is a great go to quick dinner recipe. Basically I brought all the above ingredients to a boil in a small saucepan and then reduced the heat to a simmer to let the glaze thicken. The recipe says about 12 minutes, but I kind of just left if on the stove until I was ready to plate everything. 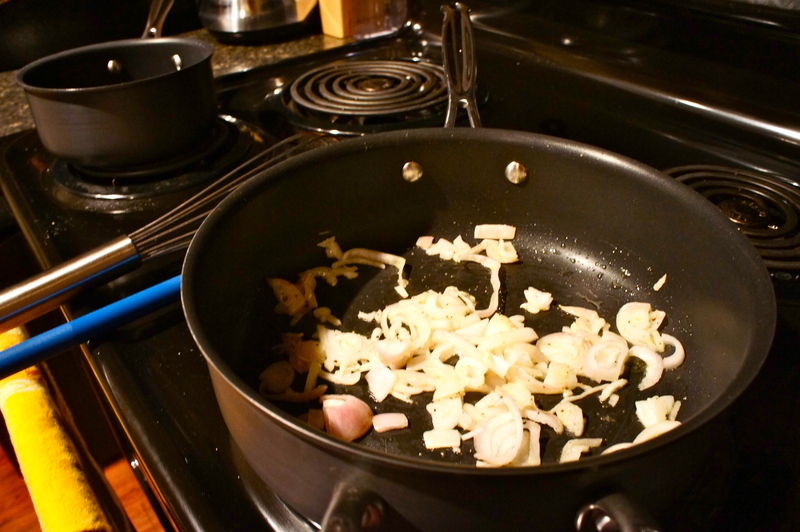 I started by heating the olive oil over medium high heat, and then added the shallots, salt and pepper, and sauteed them for about 3 minutes. 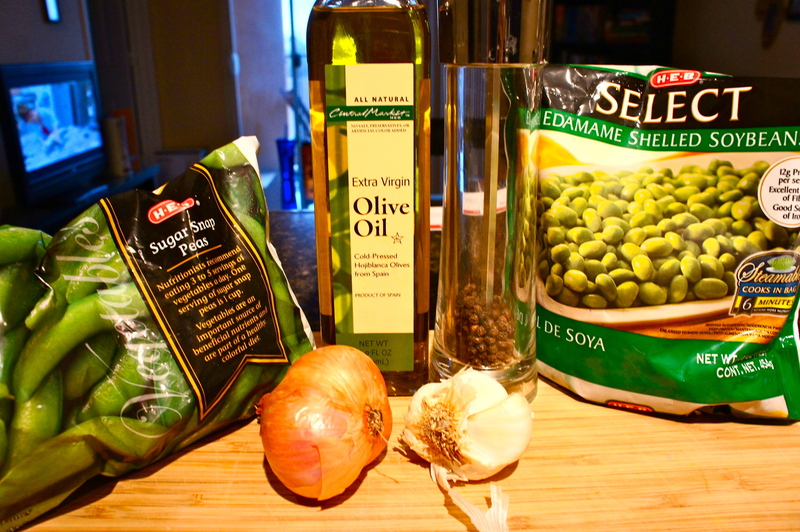 Then I added my garlic and cooked it in for about a minute. 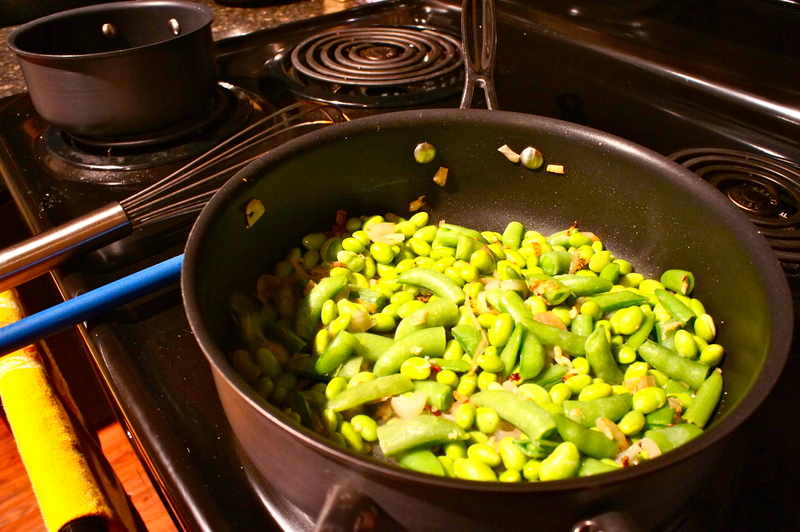 Finally I added the snap peas and edamame and cooked for about another minute. 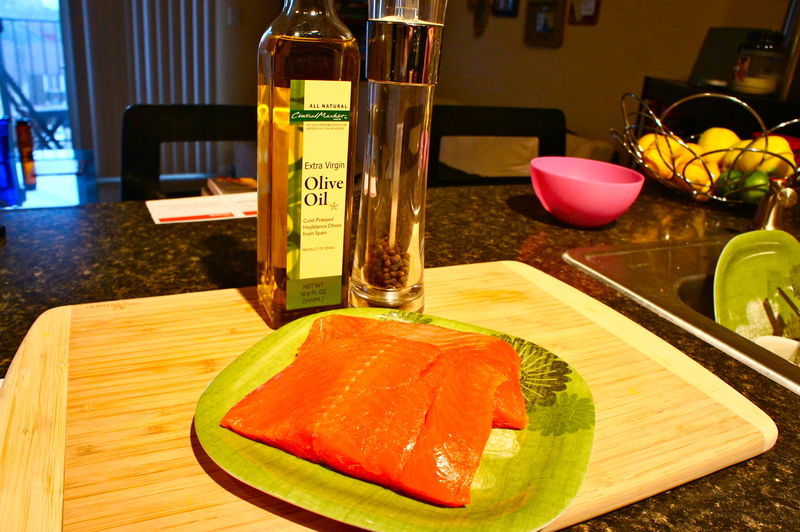 While I cooked the veggies and reduced the glaze, I drizzled my salmon with olive oil and then added salt and pepper to both sides. 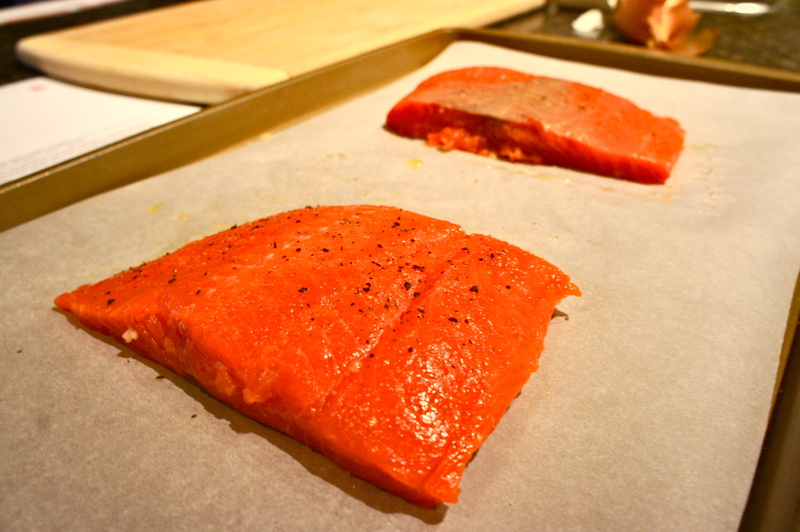 Then I cooked the salmon in the oven for about 8 minutes at 400 degrees F.
Then I combined it all. Veggies first, Salmon on top, and glaze all over. Delicious. I could eat this every week. I love these flavors. 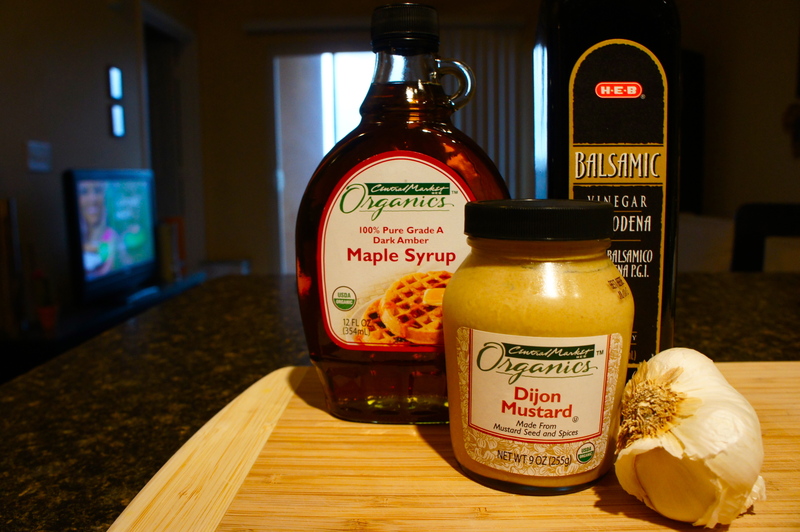 I got this recipe off of Food Network from Giada’s section. 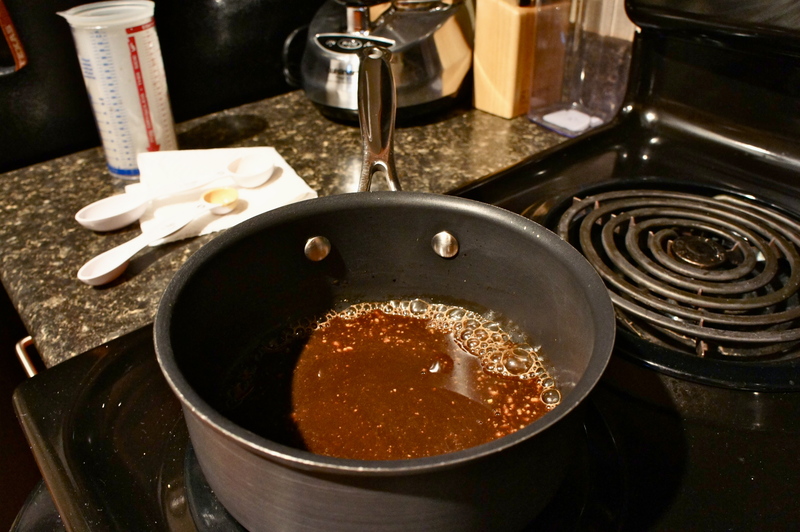 the heat to a simmer and cook until thick, about 12 minutes. Set aside to cool for 5 minutes. fork, 8 to 10 minutes. Set aside to cool for 10 minutes. 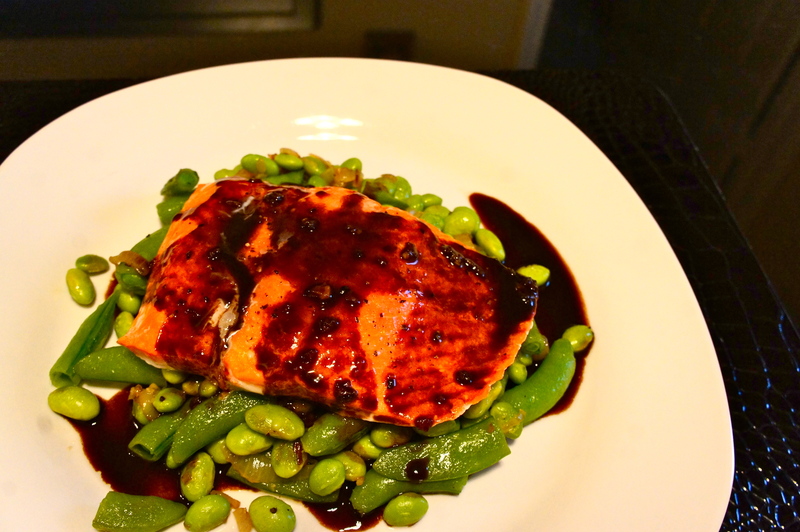 This entry was posted in Main Dish, Seafood and tagged balsamic, easy dinner, edamame, Giada, glaze, quick dinner, salmon, snap peas. Bookmark the permalink.